Information is developing rapidly in the wake of last week’s “New Year’s Greeting” incident at Guangdong’s Southern Weekly, one of China’s leading professional newspapers. For those who weren’t looking, CMP posted two updates over the weekend, available here and here. In a moment, we’ll post our translation of an important open letter released over the weekend by a group of prominent Chinese scholars from the mainland, Hong Kong and Taiwan. The letter bemoans the “loss of freedom of expression” in Guangdong, a “crucial touchstone” of reforms, and calls for the immediate removal of Tuo Zhen (庹震) as propaganda chief of the province. Before we get to that letter, however, let’s review the latest information on this developing incident, which is without a doubt one of the most important we will witness in China this year. The staff subsequently learned that just as Southern Weekly was holding its expanded editorial committee meeting, Nanfang Media had held a “core group meeting” of its Party committee (党委核心小组会) under pressure from provincial propaganda authorities. The meeting had discussed the statement contained in the instant message. Opinions at the meeting were divided, and no final decision had been reached, but at the direction of Nanfang Media’s Party secretary, Yang Jian (杨健), who is also a provincial propaganda official and was present at the meeting, Huang Can directly pressed the staff member in charge of the paper’s official Weibo, Wu Wei (吴蔚), with an order to make the post. In the view of Southern Weekly staffers, the statement being prepared for the paper’s official Weibo and the information reportedly leaked to Lianhe Zaobao by a source close to the propaganda office were entirely related. They believed this was a concerted effort to direct responsibility away from Tuo Zhen and provincial propaganda authorities. At around 4 p.m. yesterday, January 6, members of the editorial committee at Southern Weekly received notice that a session was to be held on the 21st floor of the Nanfang Media office building. With Wang Genghui and Huang Can presiding, the editorial committee meeting was attended by Cheng Mingyang (陈明洋), Wu Xiaofeng (伍小峰), Zhu Qiang (朱强), Qiao Hua (肖华) and Zhu Hongjun (朱红军). The paper’s general manager, Mao Zhe, was also present. At the meeting, Wang and Huang expressed their determination to send out the false statement, but this met with uniform resistance from the other members of the editorial board. Mao Zhe also rejected the idea at the time. The dissenting members of the editorial committee emphasized the need to respond to the demands of the editorial staff and offered a proposal for resolving the incident. Wang and Huang said they would make a record of the proposal and present it to the Group and to the propaganda authorities. Mao, the general manager, also gave his support. The editorial committee reminded Huang and Wang of the importance of taking a conciliatory attitude so that staff morale could rebound and work go forward on the paper’s next issue. After the meeting ended, members of the editorial committee shared the content of the meeting with core staff members. There was a general sense of support. Everyone kept their cool. At 7:51 p.m., Wu Wei, the staff member responsible for the newspaper’s official Weibo account, urgently notified members of the editorial committee that the editor-in-chief, Huang Can, had again pressured him, asking that he share the paper’s Weibo account username and password. Wu Wei repeatedly withheld the information. At 9:18 p.m., Wu Wei was forced to comply with a request for the account information and everyone was notified that he would no longer be responsible for content on the Southern Weekly Weibo account. At 9:20 p.m. a statement staffers described as “completely at odds with the truth” (不符事实真相) was issued on the official Weibo account of Southern Weekly (@南方周末) without confirmation or authorization from members of the newspaper’s editorial committee. About 10 minutes after the statement was released, Huang Can and Mao Zhe arrived at the editorial office on the 23rd floor and told those present: “[Nanfang Media Party Secretary] Yang Jian (杨健) would like to have a word.” Editors refused. At 10:09 p.m., Huang Can sent a message to one member of the Southern Weekly editorial committee saying that he was “very sad” (很难过) over the matter. Thus began the “strike” by Southern Weekly staff. John Kennedy at SCMP has some images here. That is the summary of most recent events as shared with CMP by a source at Nanfang Media. Let’s turn quickly now to another important open letter on the “New Year’s Greeting” incident at Southern Weekly. This letter, issued yesterday and addressed to Guangdong’s new top leader, Hu Chunhua (胡春华), calls for the immediate removal of Guangdong’s propaganda minister, Tuo Zhen. Signers of the open letter include Peking University law professor He Weifang (贺卫方), economist Mao Yushi (矛于轼), prominent lawyer Zhang Sizhi (张思之), author Zhang Yihe (章诒和) and veteran journalist and blogger Li Chengpeng (李承鹏). This time, the actions of your Honorable Committee’s propaganda Minister, Tuo Zhen, concerning the special New Year’s edition of Southern Weekly, have extended throughout society. In public opinion, the disgust and opposition toward Tuo Zhen is readily visible, and it is clear that society generally has taken a civilized and necessary position of resistance to Tuo Zhen and to the Honorable Committee’s Propaganda Office, which Tuo Zhen leads. When we learned of this situation, we reacted with alarm, and there are certain things which must be spoken, hence this formal recommendation (建议书). Guangdong province is the bridgehead (建议书) of reform and opening, and it has been committed to taking the lead. In China today, the lingering sense of rise and regeneration relies to a great extent on Guangdong. 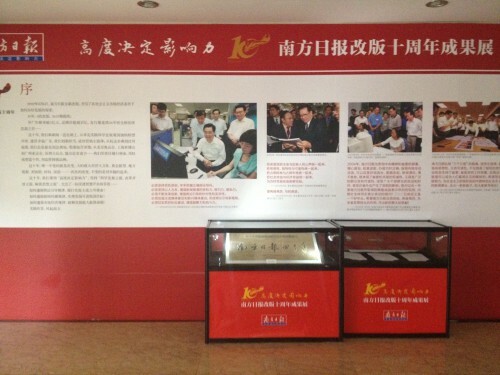 For Xi [Jinping] as for Deng [Xiaoping] before him, southern tours (南巡) marked great events that began in Guangdong. The entire nation, and people both here at home and overseas, regards Guangdong as the most crucial touchstone (试金石) of reform and opening. The power of this one province ripples across our whole country, and the contributions of Southern Weekly are an undeniable part of that. Over the past 30 years, Southern Weekly has focused on everyday lives, on issues of justice and conscience with professionalism, good sense and a temperate [attitude], laying down the Guangdong tradition and Guangdong spirit of reform and opening. For many years, through the efforts of the “people of Southern Weekly” (南周人), who have harbored strong feelings for their country along with a strong constructive spirit, Southern Weekly has been an important domestic media, propagating the reform tradition of Guangdong, and it has garnered widespread respect in and outside China. 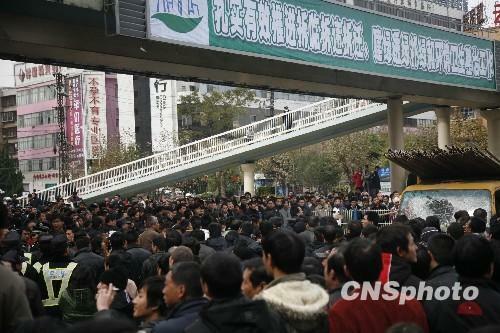 Internationally, Southern Weekly is already regarded as the face of China under reform and opening. Domestically, Southern Weekly has spoken with a clear sense of truth, and has spoken on the people’s behalf. It is one of the newspapers [in our country] that presses closest to the feelings of the public. . . The editorial team at Southern Weekly remains one of the country’s top groups of media professionals, and they are, moreover, closely connected with the current of reform and the spirit of opening. They have been moderate, rational and forbearing, with a sense of order. The actions this time of Tuo Zhen, your Honorable Committee’s propaganda Minister, will stir public anger and urge them to common protest (群体抗议) such as we have not seen in Southern Weekly‘s 30-year history. If it had not been for Tuo Zhen’s overbearing actions, would things have come to this point? The ice has thickened, and this is not one day’s Winter. 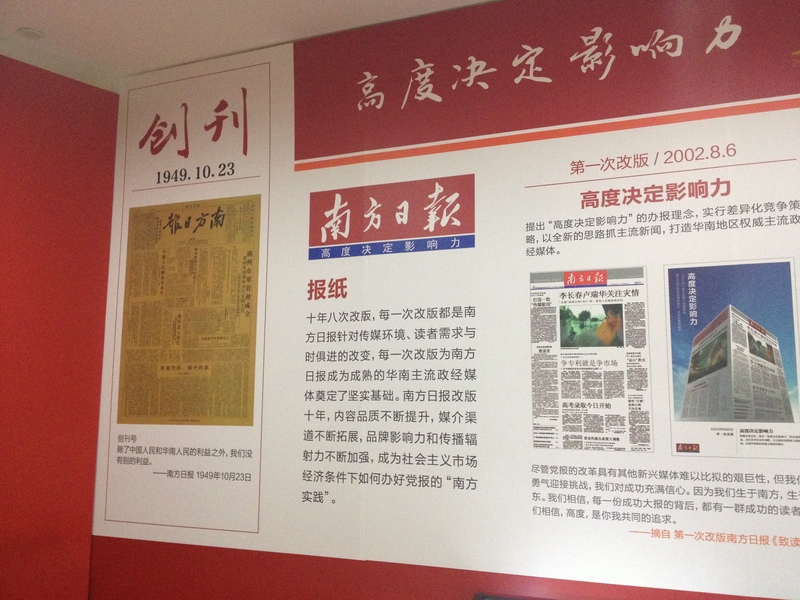 It is said that ever since Tuo Zhen took up his post as propaganda minister of Guangdong, he has leapfroged the editorial flow of Southern Weekly, unscrupulously inserting himself in the editorial process, with sense of neither the proper measure of his post nor the nature of decent conduct. He has treated his official power as an instrument of personal gain . . . Wherever he goes ten thousand horses stand mute [i.e., no one dares say anything]. If Tuo Zhen did not harbor such hostility for reform and opening, would things have come to this point? We are concerned that permitting someone like Tuo Zhen to continue in his position, . . . will have an even greater negative impact on Guangdong’s provincial Party leadership in the future, and will possibly mean a loss of the Guangdong tradition so integral to opening and reform. [We are concerned] that the freedom of expression that newspapers and magazines [there] should have will be completely lost. In light of this we openly advise that the only correct means [of dealing with this matter] is to immediately remove Tuo Zhen from his position as provincial minister of propaganda and to dispatch him to a more arduous placement for further tempering and training, which would put him on a right path.
. . . SEE CHINESE BELOW FOR FULL LIST OF SIGNERS.